Shallots play a prominent role in many of Victoria's favorite recipes. 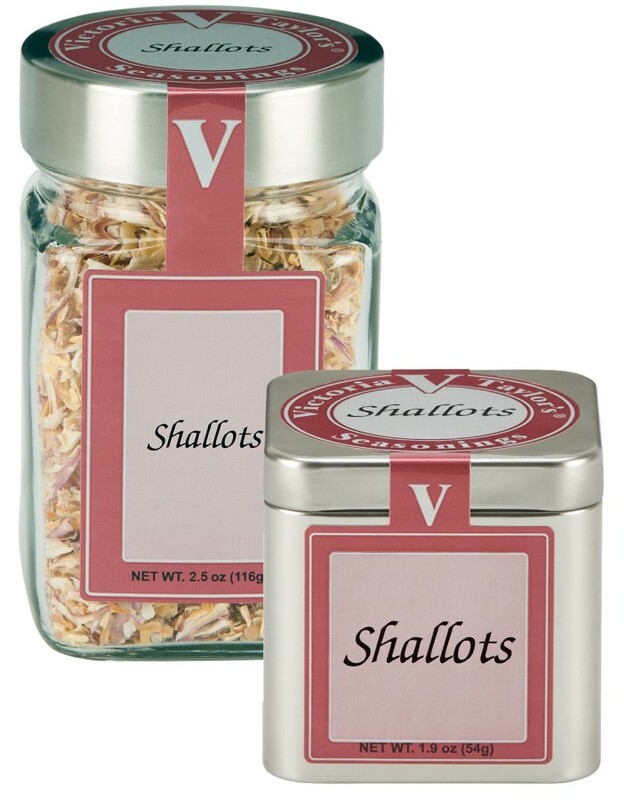 Victoria Taylor's Shallots are as close as you can get to fresh and are an essential ingredient in any pantry. These tangy, sweet flakes add a delicate onion flavor with a hint of garlic to sauces, soups, stews and salad dressing. Create a zesty vinaigrette in minutes by combining 2 tablespoons shallots with the juice of one lemon and 1/2 cup olive oil. I have only recently discovered your seasoning blends. All are terrific. The Smoky Paprika Chipolte I could eat with a spoon, and I put Shallots on everything except cereal. Keep up the good work. Excellent quality, great flavor. I purchased at [a local retailer] your Shallots. They are wonderful. I added them to a can of Hunt’s sloppy joe and the shallots made it the best sloppy joe I ever made. I am sooooo glad your website was on the jar so that I can order more of your products. Thank you for making a so so sloppy joe into something fabulous.